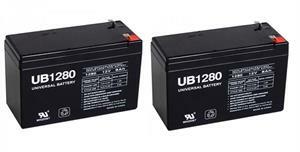 2xUB1280 : Battery set for 24V Bruno Electra-Rida SRE-2000. 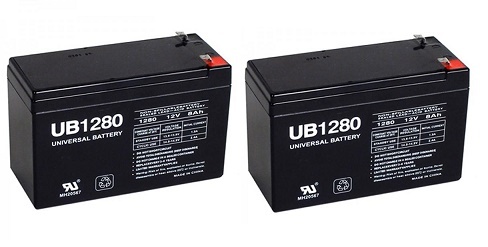 Consists of two 12volt 8Ah Sealed Lead rechargeable batteries. Each measures 5.95" across, 2.75" thick, and 4" tall. They replace the electric stairway batteries in the Bruno Electra-Ride series. These batteries must be attached in series to produce the required 24-volt power source.